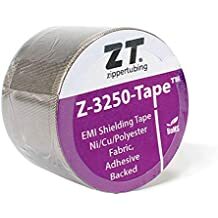 Zt Tape - Zt Tape - Trade Names - ZT | Zippertubing Co.
ZT-Tape® is a fire-retardant Polyurethane film electrical tape with a special pressure sensitive acrylic adhesive backing, an easy-to-remove paper release liner and is UL 510 recognized. The Polyurethane tape has excellent resistance to cold temperatures and is weather resistant. Use this tape for bundling and securing of wires and cables or any application requiring a flame retardant material with good dielectric strength, high- and low-temperature flexibility and resistance to moisture and outdoor conditions. 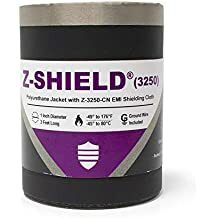 ZT-Tape®is the perfect mate to Zippertubing&apos;s Z-Shield® family and PFR-18 Polyurethane jacketed materials. It also works well on all PVC-based materials. It can be used as a secondary sealing material for all PVC and Polyurethane extruded interlocking closure tracks. ZT-Tape® can be used to cover, bundle, wrap and secure your wires or cables with ease. ZT-Tape® is a highly versatile, flexible, flame-retardant, non-PVC electrical tape that is comprised of Polyurethane film. The backing of the tape is made of a special pressure-sensitive acrylic adhesive and utilizes a paper release liner. With an operational temperature range of -50° to 80°C (-58° to 176°F), ZT-Tape® has excellent resistance to not only hot and cold temperatures but also moisture. Because of its dielectric and overall strength, ZT-Tape® can be used to cover, bundle, wrap and secure your wires or cables with ease. ZT-Tape® is the perfect mate to Zippertubing's Z-Shield™ family and PFR-18 Polyurethane-jacketed materials. It can also be used as a secondary sealing material for all of Zippertubing’s PVC and Polyurethane extruded, interlocking-closure tracks.